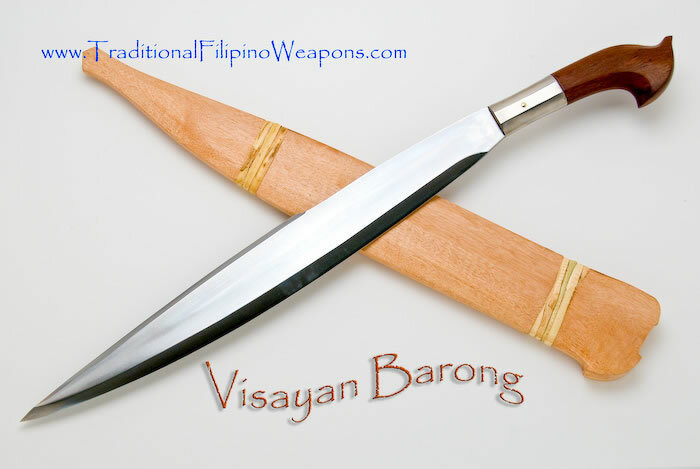 Visayan Barong – The Barong (sometimes spelled Borung) is a leaf shaped bolos that are popularized by the Muslims, especially the Tausug tribes of the Southern Philippines. Which later on reached the Mangyan Tribes of Mindoro and Tagalogs of the Eastern Luzon Provinces. 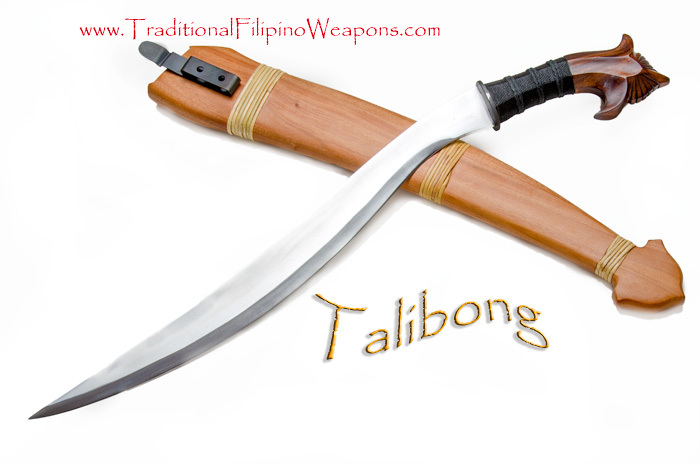 When this sword crossed the island from Mindanao to the Visayas, it was modified to give it a more effective use, a hilt was added at the spine, and the handle was modified because of the small hands of the native workers. 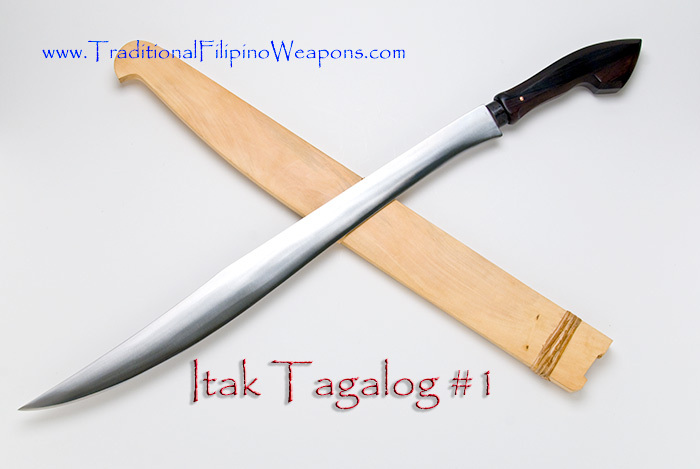 The unique leaf-shaped blade makes the Barong distinguishable from other Filipino weaponry. 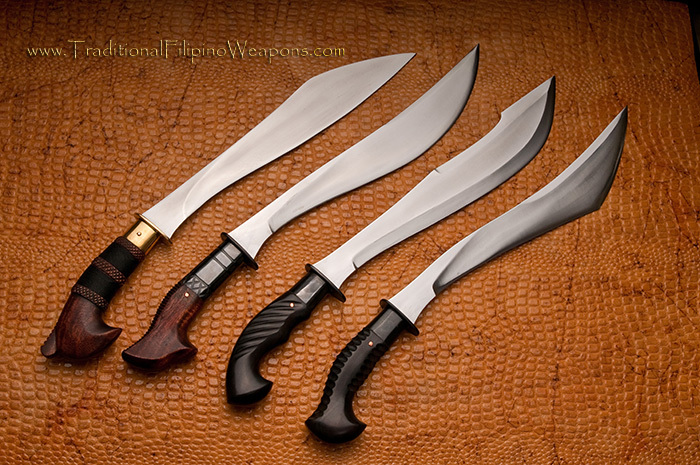 Though weird looking to most people, these Barong Bolos have the most comfortable grip when used as a utility tool, and is one of the easiest to maneuver when used as a weapon. It’s so funny how such a humorous design can be such a brutal weapon. 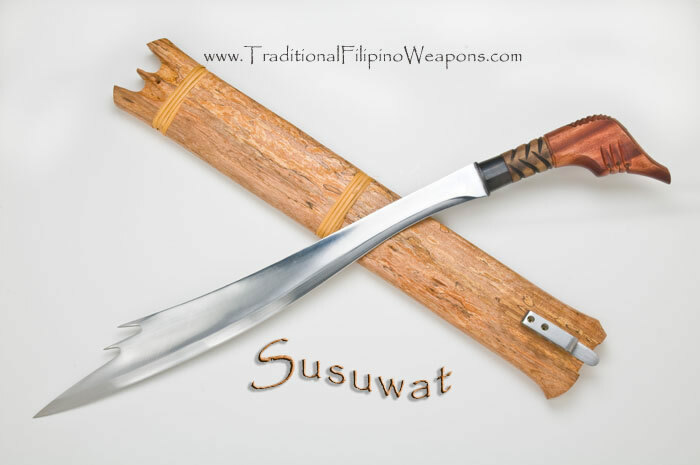 This blade is a powerful addition to the Filipino practitioners collection.